Whenever I read John 6 I think back to a series of meeting we held in Irkutsk, Siberia called “New Community” (новое сообшество). The idea wasn’t anything new – I think Willow Creek Church had used this and I’m sure others. Our purpose was to invite unchurched people to hear and discuss the gospel in four chapters. We rented a beautiful but affordable wooden building called the “House of Architecture.” The building itself typified all that was best about Siberia with its welcoming wooden paneling and ornate metal gutter work. Many people came the first night and had a wonderful time. 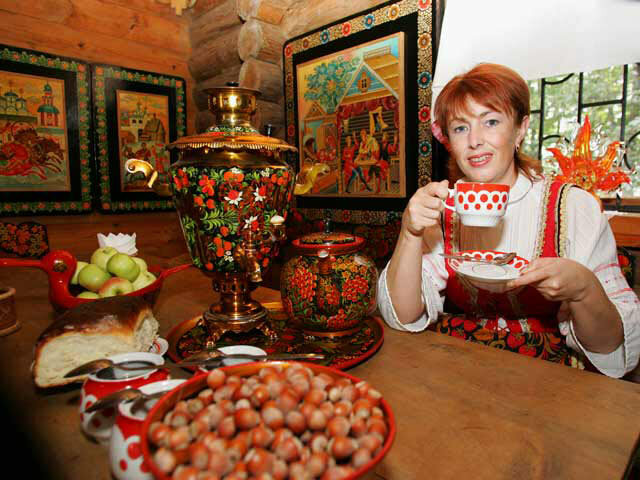 We served tea and sweet rolls – the Russian equivalent of the bread and fish Jesus was offering here. While we were excited some of the local religious leaders were less so. They said, “You are hiding the gospel under chai and boolichkee (tea and sweet rolls).” I later recounted the story to a ministry colleague of ours from Australia, who replied, “Well, Jesus hid his gospel under bread and fish, so I think you’ll be okay.” Always leave it to an Aussie to set things straight with some humor wound in. Bread and fish were good news to hungry first century unchurched people just like tea and sweet rolls are to hungry Siberians. In this passage Jesus uses bread and fish as pointers to authentic life. Yet he doesn’t stop there for authentic life itself is a pointer to something beyond it: the source and sustainer of authentic life. Jesus. If you are a believer, may this prompt you to take a moment to thank God our Father for the new life he has given us in Jesus. May this also prompt you to think about contemporary equivalents to bread and fish that could draw others to the good news of Christ. If you are not a believer, ask yourself, “Am I hungry?” Like a wonderful conversation over Russian tea and rolls, Jesus offers you the authentic life for which you hunger. All you need do is ask and the bread of life will be yours. This entry was posted in Uncategorized on July 29, 2009 by Steve Godfrey.